Photo: Acrobatics show By A Thread will come to Ararat on April 2. From daring circus feats to moving works of drama, puppet shows for children, live music, comedy shows and jazz, the 2019 Ararat Town Hall program has something for everyone. The 2019 program will kick off on Wednesday 13 March with the first of this year’s free lunchtime concerts, The Hoffman’s Variety Show. 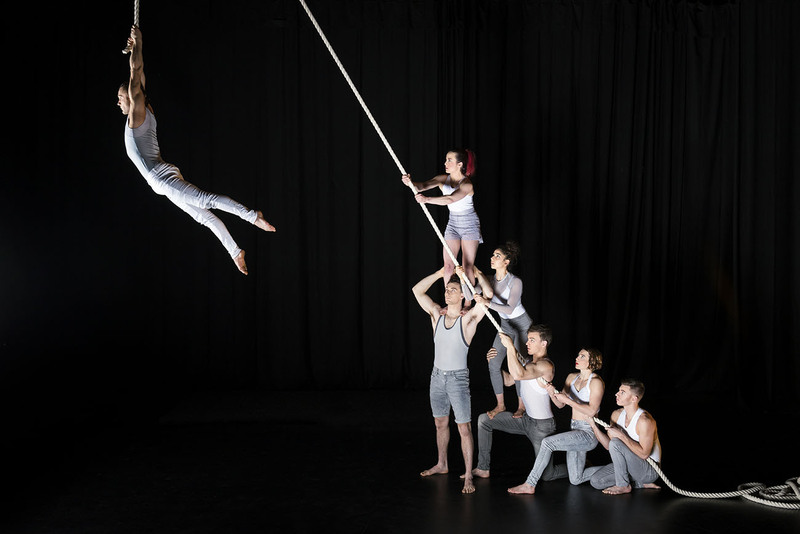 Next up is the amazing circus performance show By a Thread, which includes seven acrobats using 30 metres of white rope to perform counterweight acrobatics. This will be followed up the next week on Friday 12 April during the school holidays with a family friendly puppet show, Picasso and His Dog. Ararat Rural City Council Chief Executive Officer Dr Tim Harrison said performances have been scheduled between March and September this year, with the program including two outreach shows one at the Moyston Hall and one at the Pomonal Hall. Dr Harrison said the Town Hall team were excited to be presenting a diverse and exciting program in the newly refurbished building, which re-opened in August after a large-scale renovation. “The shows on our 2019 program are sure to interest, amuse and entertain everyone, from the very young to the young-at-heart,” he said. The entire program is now available on the Ararat Town Hall website, with links to ticket purchasing to go live closer to the date of each show. For all the details visit www.ararattownhall.com.au.